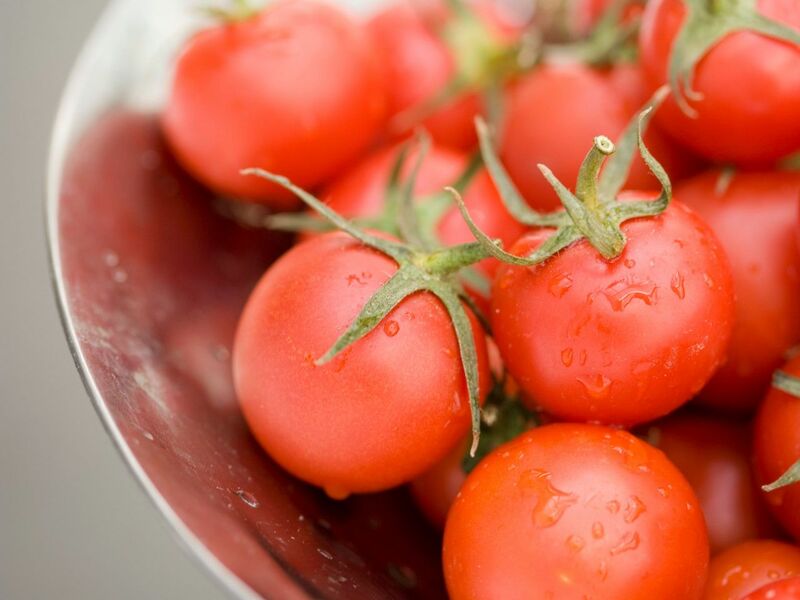 Food, thoughtfully sourced from local farms is the key ingredient to our success. Offering casual, farm-to-table dining, HARVEST Kitchen / Bar is simply one of the best restaurants in downtown Wichita. 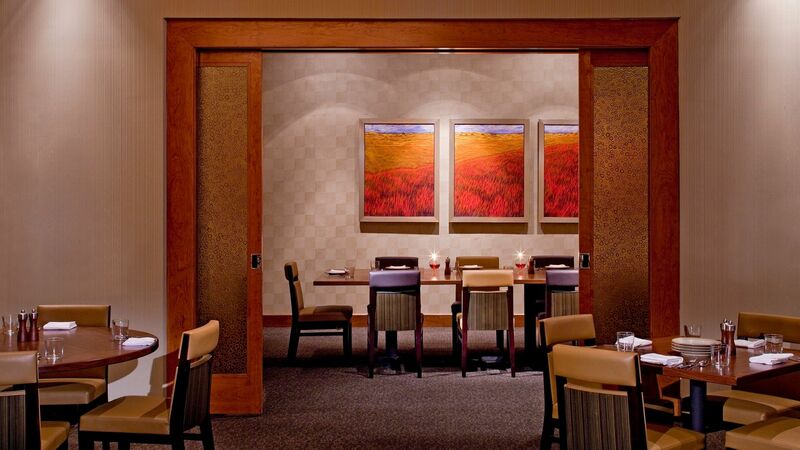 Enjoy the bountiful harvests of the Midwest with a seasonally-inspired meal at Harvest Kitchen|Bar. Harvest's cuisine and decor are designed to reflect the artistic and agricultural majesty of Kansas. Seasonal breakfast, lunch, dinner and bar fare menu items are built around fresh, seasonal, locally grown produce and grains and local meat and dairy products. Breakfast : 6:30 - 10:30 a.m.
Sunday Brunch: 7:00 a.m. - 2:00 p.m.
Bring along your laptop and enjoy a fresh pastry and steaming cup of Starbucks® Coffee as you read the morning newspaper. Meet your friends for a light and satisfying lunch with salads, sandwiches and delicious desserts. 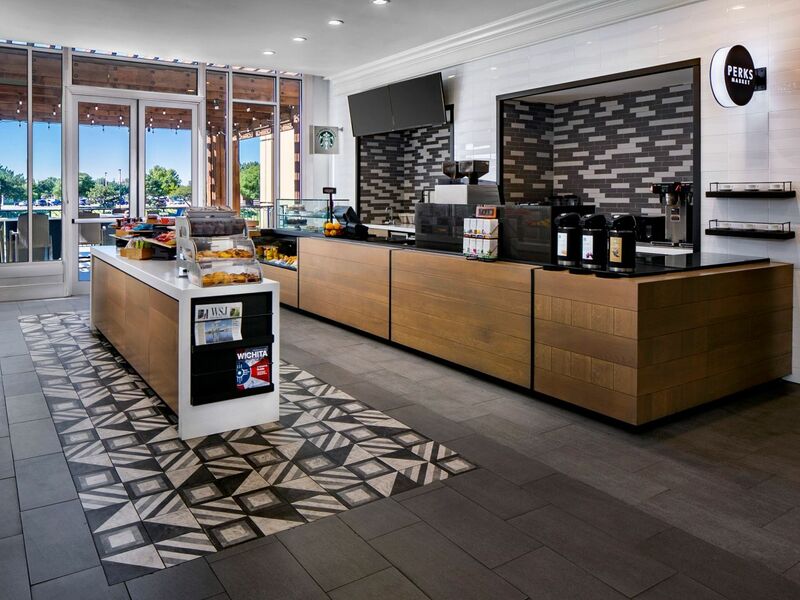 Where everyone comes for a relaxing getaway, our Perks Market offers much more than just a wide variety of tempting, delicious Starbucks® coffee flavors. Don’t forget to pick up sundries and food items for your day trip while you’re here. You’ll find Perks Market in the lobby of our Wichita luxury hotel.